A Tour of Val Vista Lakes! 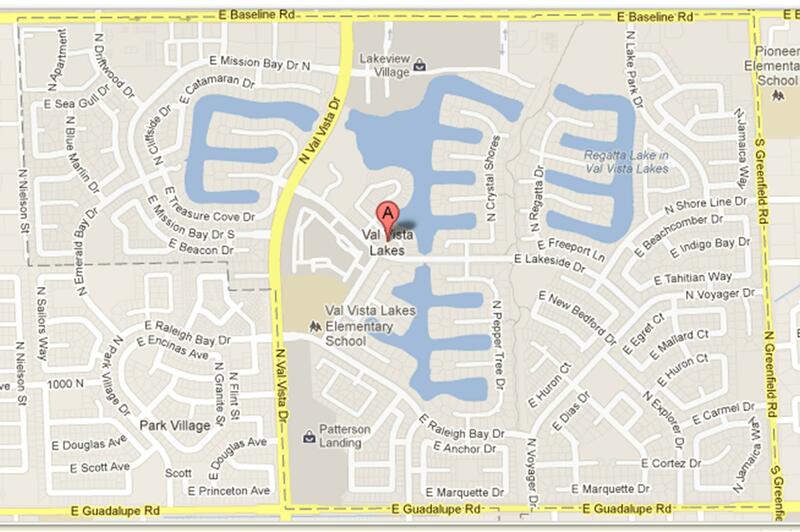 Val Vista Lakes is located south of Baseline Dr. on Val Vista Rd. in Gilbert, AZ. This resort-style subdivision features so many amenities which is why it makes one of our top picks in the Gilbert, AZ area! Val Vista Lakes in Gilbert, AZ has a series of man-made lakes and water ways which provide an opportunity to own a home on the water in the desert! There are 8 lighted tennis courts and a dedicated tennis center in Val Vista Lakes in Gilbert, AZ. Val Vista Lakes in Gilbert, AZ boast a huge club house with Olympic size pool, beach surround pool, fitness center, racquetball courts, a ballroom and much more. Val Vista Lakes in Gilbert, AZ is close to the newer Dana Shopping Center, the 60 Freeway and various hospitals. Val Vista Lakes in Gilbert, AZ may be your new permanent home or winter residence!